GroupM Chairman Irwin Gotlieb has always had an intuitive eye for technology. He’s been applying it to the CES show floor since the 1970s, when it was called the Comdex computer expo show and disc drives sold for $400,000. Gotlieb began offering his knowledge to clients, vendors and other partners on his legendary floor tours back in the ’70s, when a group of clients got lost in an area dedicated to Mandarin-speaking attendees. On one of his seven tours this week, Gotlieb led clients from Google and its media agency, Essence, on a deepdive through CES’ key themes for marketers: improved TV screen displays, evolved computing power and 5G connectivity – all of which will overlap to enable the future of consumer technology. Quantum computing’s ability to rapidly process huge amounts of data will bring an AI-powered IoT to the mainstream. Smart cars and connected appliances were prominent on the show floor, with Samsung, Huawei, LG and Haier displaying hardware with Alexa and Google Assistant baked in. But it’s not until 5G wireless takes off that machines will be able to speak to each other. While 5G is “one of the key things on the horizon,” Gotlieb said, it will require and investment of more than $1 trillion in fiber connectivity over the next five years to become a reality. That will be difficult to achieve with telcos racing to the bottom on price; by 2020, only 25% of the US will have 5G internet speeds. 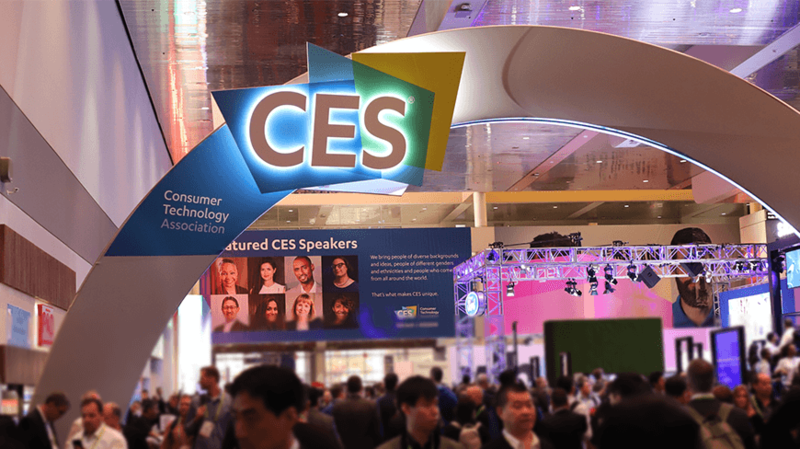 For MDC Partners, 2018 was the year of voice at CES. Chinese manufacturer Hisense debuted the first 4K HD smart TV projector integrated with AI-powered voice assistants, and a connected TV that can place online orders for consumers using voice. Voice will also enable the connected home, where an ecosystem of products like smart ovens, refrigerators, dishwashers and mirrors will communicate with one another to automate cooking and cleaning while helping consumers monitor their biometrics and health. And with voice assistants, automakers are rethinking their value to consumers beyond getting them from point A to point B. Toyota, for example, integrates connected cars with social and online booking platforms to know more about consumer preferences and where they may want to go. Toyota is using driverless tech to reinvent the retail and delivery experience. Mobile Palette is Toyota’s self-driving delivery and rideshare vehicle, which will debut in earnest sometime next decade. Brands like Pizza Hut are testing Mobile Palette as a way to transform its delivery experience, which will change the way it goes to market and expresses value to consumers. Eureka Park, CES’ startup exhibition, had a lot of noise around unscaled technologies like clunky VR headsets. But for Leigh Christie, director of Isobar’s research and development unit, NowLab, connected headphones were the most relevant products for brands. Consumers haven’t been quick to adapt to wearables, but they don’t mind wearing headphones, Christie said. While high-end connected headsets will remain ad-free, many will be subsidized by advertisers to bring down the cost of the technology. Once the barrier to entry drops, Christie sees brands like Disney or Coca-Cola white-labeling connected headset technology from manufacturers to whisper in consumers’ ears. “Brands want access to the ears the same way they want access to the phone,” he said.